Every morning, they throw on a brightly-colored vest, grab their whistle and flashy red stop sign, and hit crosswalks across Orange County to help thousands of kids cross the street. Throughout the month of February, counties and cities across the country will celebrate local crossing guards. 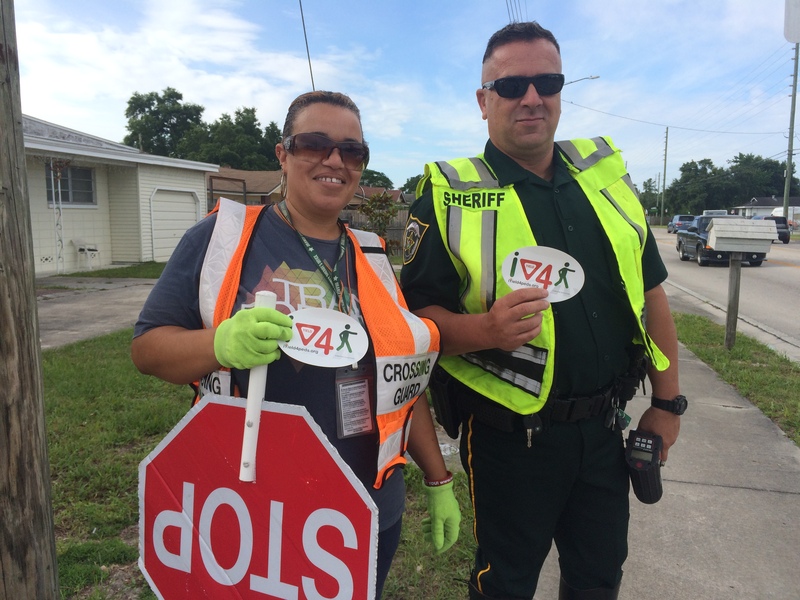 Seminole County did earlier this month when the Seminole County Sheriff’s Office Crossing Guard Program was named the 2015 School Crossing Guard Program of the Year by FDOT. So take a moment to honor our guardians of safe school passage. Our children’s lives are in their hands. SLOW DOWN. Don’t forget to obey the lowered speed limits in school zones.